Demand for personal computers has been down for some time now, but the market has recently shown good signs. Intel Corporation (NASDAQ:INTC) made that even clearer when it reported a rosy fourth quarter forecast, which beat expectations. The market for PCs has been down for about 4 years now. However, the trend has changed in the recent past with a number of companies registering higher sales than before. Market observers have said that it could be as a result of the many companies that have been replacing PCs for their employees. 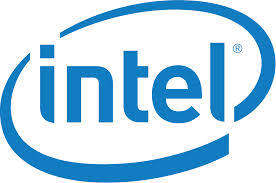 The forecast by Intel Corporation (NASDAQ:INTC) is a good indication for the PC makers. Many companies had expressed concerns over the economic slowdown in China and the low demand for PCs in both U.S. and Europe. Microchip has last week Thursday gave a gloomy picture of the industry, spurring a big selloff on Friday. Wall Street had expected Intel Corporation (NASDAQ:INTC) to make $14.5 billion in revenue, but what the company has forecasted is between $14.2 and $15.2 billion. The chip maker’s third quarter revenue was $14.6 billion, representing 9% increase from 2013 fiscal year. In a statement Tuesday, the company confirmed that the demand for its chips is healthy and is expected to grow. “The worldwide PC supply chain appears to be healthy, with inventory levels appropriate in anticipation of the fourth quarter retail cycles,” Intel said. Even with the healthy forecast, the company is still struggling to catch up with Qualcomm in the mobile device market. This market segment is very important as more people are switching to or simply purchasing mobile devices to use alongside their PCs. Ascendiant Capital analyst Cody Acree however thinks that the great sales are just playing out this year and that things will go back to “modest annual declines”. Intel Corporation (NASDAQ:INTC) jumped up 2.4% to $32.90 in extended trade Tuesday after the company released its fourth quarter revenue forecast.